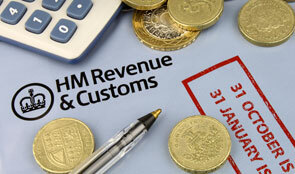 There are more than 1000 tax reliefs in the UK tax system. The NAO intends to carry out future work evaluating how they are developed and implemented. In a report today describing the ‘landscape’ of tax reliefs in the UK, the National Audit Office has indicated that it intends to carry out future work evaluating how tax reliefs are developed, implemented and administered. Today’s report also covers how the exchequer departments assess the performance of reliefs and how they assess, monitor and respond to the risk that reliefs are abused. Tax reliefs are a longstanding element of fiscal policy, and are growing in number, with more than 1,000 reliefs in the UK tax system. All tax systems include such reliefs, which in many cases are an essential part of defining the scope and structure of a tax. They require effective administration as their number, as well as the interaction between them, means there may be unintended consequences, creating opportunities for those seeking to avoid and evade tax. Some reliefs, known as ‘tax expenditures’, are often used as an alternative to public expenditure and have similar effects. They may be designed to achieve particular policy objectives by incentivizing certain behaviour through the tax system. Tax reliefs and credits, for example, are available to companies to encourage research and development activity, a policy objective that has also been pursued through grant funding. The summed annual cost of tax expenditures is around £100 billion. According to the NAO, HMRC is responding to the challenge of administering reliefs and of addressing the abuse of tax rules: for example, by adding 100 more investigators and extra risk and intelligence staff to identify and deal with avoidance and evasion by the wealthiest individuals. The Department also checks taxpayer returns against other data sources, including whether a taxpayer uses a registered avoidance scheme. Monitoring arrangements for reliefs vary across HMRC, and few evaluations are commissioned. Monitoring and evaluation are important to understand the extent to which a tax relief is misused. For a tax expenditure, it is also necessary to understand the behavioural consequences of the relief and whether it is meeting its social or economic objectives. There is also limited monitoring of changes in the cost of particular reliefs. Around a quarter of 92 principal reliefs examined by the NAO had experienced significant changes in value. Although today’s report describes the complete landscape of tax reliefs, the NAO intends to evaluate the administration of particular reliefs in work to be published later this year.